This contemporary collection of luxurious marble dining and occasional furniture will make a real designer statement in any living space. 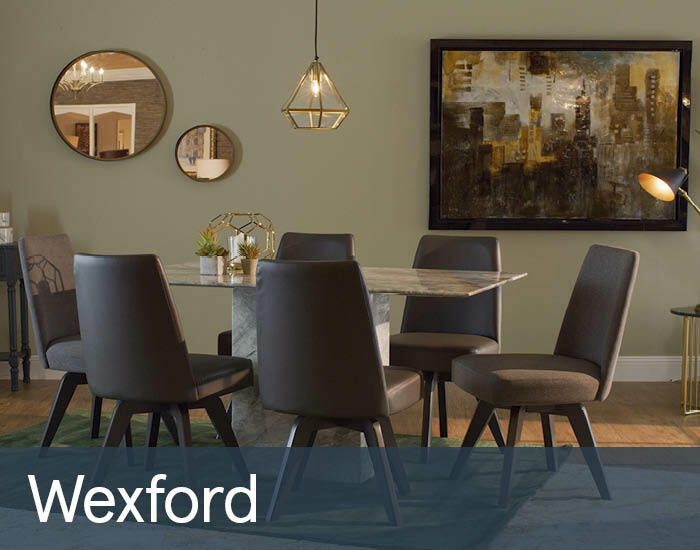 Wexford’s compact proportions and sleek, simple lines are crafted from stylish marble and utilise high gloss wood veneers in on-trend grey tones to complement any colour scheme. Finished with a resilient polyurethane hand-polished coating, Wexford’s surfaces are wipe-cleanable, making it ideal for kitchens and the rigours of everyday living.